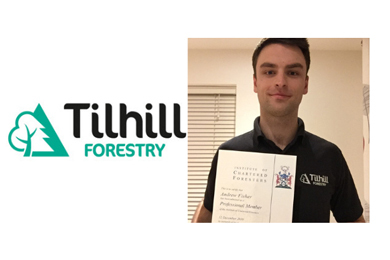 Tilhill Forestry has anounced that another six members of staff have gained their Institute of Chartered Foresters (ICF) Professional Member’s status. The Company supports the Institute and endeavours to see all applicable staff achieve chartered status. 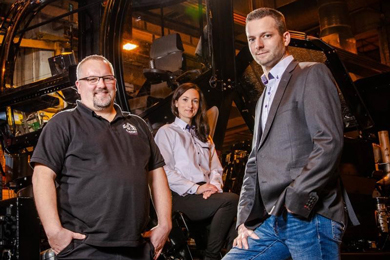 The company pays the membership subscription fee and supports staff members as they plan their route to chartered status. In addition to Byron, Tilhill’s other successful staff were Forest Managers Andrew Fisher, Colin Corkhill and David Crozier, Senior Forest Manager Callum Nicholson and Head of Investment & Property Bruce Richardson. Byron Braithwaite joined Tilhill Forestry in 2015 following the completion of his degree at Bangor University. As part of his degree he spent a year working with the Forestry Commission in Central Scotland and he completed Tilhill Forestry’s graduate programme. He now manages a broad range of forests in the Scottish Borders. Colin Corkhill is based at Alton in Surrey giving him management responsibilities across a swathe of Southern England. He has been working in the industry for over 10 years, initially studying Lowland Woodland management at Sparsholt Agricultural College, where he was awarded Best Overall Performance by Royal Forestry Society. Forest Manager David Crozier covers the North West of Wales, managing client properties. He holds a BSc Honours degree in Countryside Management from Harper Adams University. With experience working as an Estates Manager in Derbyshire, David has since developed an interest in forest diversification and adding value to commercial conifer plantations. Speaking of his success David said: “Last year was a very big and crazy year for me – I had the letter through confirming my ICF status a few days after my son Bertie was born. It was a good week for me and the ICF news was the cherry on top! “I consider that membership of the ICF is important because it’s a stamp of professionalism that demonstrates trust and competency for anyone with a chartered status. For me, personally, it was a huge relief to ‘get there’ after a lot of hard work and preparation throughout last year and I am proud to put the ‘MICFor’ letters after my name. Andrew Fisher, Central Borders Forest Manager is focused on commercial forestry management and large scale woodland creation for a wide range of forest owners, he was one of only two applicants this year to be presented with an Award of Excellence for his PME submission. 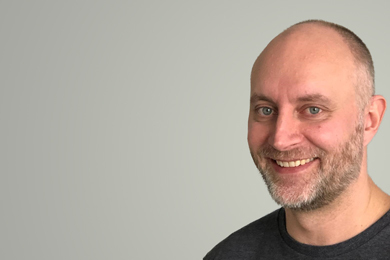 Andrew said: “I am very pleased to have been promoted to full chartered status, it is the culmination of 5 years of hard work toward this achievement. Drawing on all my knowledge and experience gained during my time in the industry. Chartered membership of the ICF is the mark of professionalism within the industry, so I am very proud to have this against my name. Beyond that the organisation will offer networking, learning and knowledge sharing opportunities throughout the industry. Callum Nicholson, Senior Forest Manager, North Highland joined Tilhill Forestry in 2016 after seven years working for Forest Enterprise in North Scotland. He completed his BSc in Forestry and Conservation with distinction from the University of Highlands in 2016. Callum’s background is in forest establishment, maintenance operations, GIS mapping and the preparation of forest management plans for both commercial and native woodlands and he has been heavily involved in the development of SRDP woodland creation projects, with an emphasis on native woodland expansion. “Coming into forestry as a second career it was very important to me to be able to provide assurance to my clients (and myself) that I can be trusted as a competent professional in my new career and that I am recognised as such by my peers.